Michelle is a Certified Financial Planner and managing partner of Ethical Investment Services. Having completed her CFP studies as well as a Diploma of Financial Planning, a Bachelor of Business and a Bachelor of Science Michelle has been giving financial advice with an ethical overlay since 1999. She is a member of the Financial Planning Association and the Responsible Investment Association Australasia. Prior to her involvement in financial planning, Michelle was a mathematics and science teacher. In her spare time she likes jazz guitar and regularly plays with other musicians. Having always been interested in environmental and social issues, her work at Ethical Investment Services allows her to combine personal philosophies with investment practice. Michelle offers financial planning advice which combines profit with principle. 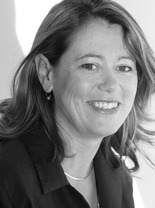 As an owner and staff member at Ethical Investment Services, Michelle has been a catalyst for the growth of ethical funds in Australia through ongoing lobbying of fund managers and networking with industry representatives, including via her recent appointment to the Melbourne Chapter of the Financial Planning Association.